As a service we try and incorporate ingredients that aren’t only sustainable but benefit to others who produce them. HCS supports the work Fairtrade do, by ensuring all our units only purchase fair trade sugars, orange juice cuplets and bananas. 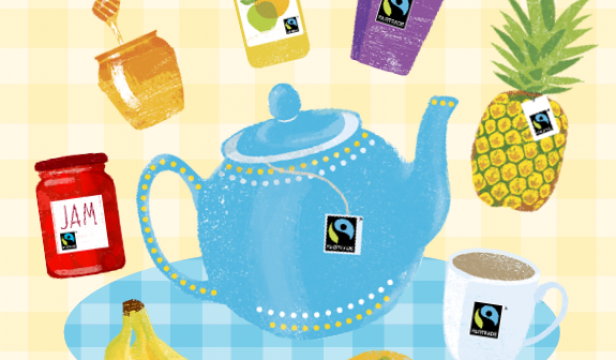 Fairtrade is a non-profit organisation that has an important cause, making sure that farmers and workers receive decent prices for their products, have decent working conditions as well as fair terms of trade with suppliers. This helps developing farming and working communities who may not have control over their futures. The farmers and workers decide for themselves how to invest the premium they receive from the Fair Trade organisation. This premium is on top of the minimum price the farmers and workers receive for their produce which can help improve their communities and business for example: schools, health care, sanitation or better equipment for their businesses. 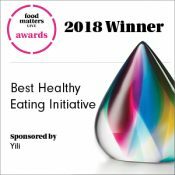 As consumers it’s important for us to look out for opportunities where we know, not only are we helping protect the environment for future generations, but improving the lives of others who supply us with the ingredients we use on a daily basis. As well as it improving the quality of food products in your diet all by looking for the Fair Trade Certified™ label. Fair Trade products are restricted; they don’t use harmful chemicals, not genetically modified and are deemed as Organic. Some of the best known Fair Trade products include: Coffee, different fruits (bananas, dates etc. ), honey, beans, sugar, cocoa and nuts. Why not try out some of the ingredients in the below recipe we use in our primaries school, if you want to take out the sugar, maybe think about substituting this with Fairtrade honey. 1. Place margarine and sugar into the bowl or mixer and cream together. Add the date mixture and roughly chopped bananas, and cream together. 2. Add the eggs and mix again. 3. Slowly add the flour and beat well for 5 minutes. 4. Place the mixture into a greased and lined sponge tin. 5. Cook in the oven at gas 4 / 180 degree C for approximately 20 minutes, firm to the touch and golden brown. 6. Remove from the oven and allow cooling for a few minutes before turning out.